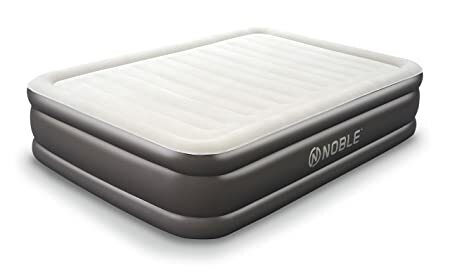 Today, August 11th only, go to Amazon where you can get this Noble Comfort Double High Raised Air Mattress in Queen for just $74.95 (regularly $99.99)! This durable and thick waterproof airbed has a comfort quilt top. The firm mattress provides excellent sleeping posture and the ultra suede top keeps bedding and sheets in place.